New Delhi, July 19: Prioritizing connectivity of relations and boosting it with collaborating and joining hands, India has made sure that no stone is left unturned. With this for the first time, the Indian Air Force is all set to participate in the multinational “Pitch Black” (PB-18) warfare exercise in Australia. It is a three-week multinational drill scheduled to take place from July 24. 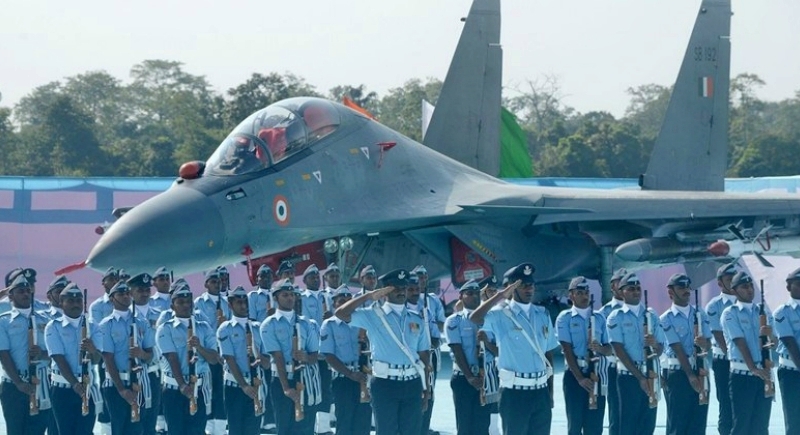 The IAF contingent will consist of 145 air-warriors including Garud team, four Su-30MKI fighters, one C-130 special operations aircraft and one C-17 transporter. The exercise will take place from July 24 to August 18, ought to be a biennial multi-national large force employment warfare exercise. Pitch Black is hosted by the Royal Australian Air Force (RAAF) and will see eight other nations participating with over 100 aircraft. The IAF contingent led by Group Captain C.U.V. Rao is expected to assemble at Air Force Station Kalaikunda and depart for the exercise on July 19 from India to Australia via Indonesia. The exercise will provide a unique opportunity for exchange of knowledge and experience with the counterpart nations in a dynamic warfare environment. Participation in multinational air exercise assumes importance in view of the continued engagement of the IAF with friendly foreign countries. The IAF men and machines will undertake simulated air combat exercises in a controlled environment and mutual exchange of best practices towards enhancing its operational capability. During the flight from India to Australia and back, Su-30MKI fighters will carry out air-to-air refueling with IL-78 tankers. On its return from Darwin to Subang, Su-30 MKI aircraft will be refueled in the air for the first time by a RAAF's KC-30A tanker plane. The mega exercise will involve over 100 aircraft from around the globe. During the transit to Australia, the IAF contingent will also have constructive engagement with Indonesian and Malaysian air forces.